She’s double checked the sonic twice—not a Dalek or Cyberman in sight. This morning we got another great look at the next season of Doctor Who, which is full of all the sorts of things good Doctor Who should be full of: spaceships, explosions, a Time Lord earnestly willing to do the right thing wherever they can, and—of course—corridors to run down. But there won’t be stalwart regulars of another kind, according to a new piece from Variety looking at the making of Whittaker’s first season of Doctor Who. 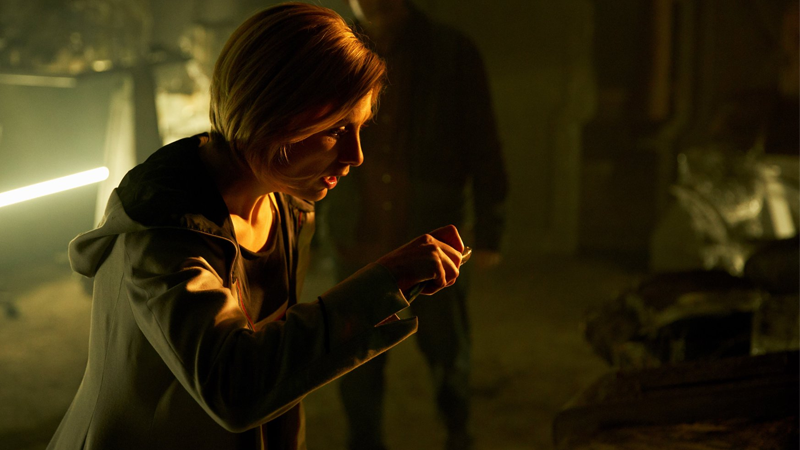 The BBC has confirmed that the season—which will also feature 10 standalone stories, so no multi-part tales—will feature no returning monsters from the show’s nearly 55-year history. It makes sense, really—the BBC is framing this as a wholly new era of Doctor Who to jump on board with, from its cast, to its showrunner, to its writers and directors, even to the way it looks and is shot (Variety also notes the series will be shot in a 2:1 aspect ratio, a first for the show). Everything is new, and you can’t really emphasize that shiny new sheen if there’s a Dalek trundling around in the background yelling “THE PC SQUAD IS AT IT AGAIN WITH THIS LADY DOCTOR LARK” or whatever it is Daleks yell. The Doctor’s got to make new friends and new foes, it seems—although maybe next season we’ll get to see some familiar creatures? Doctor Who returns on October 7.